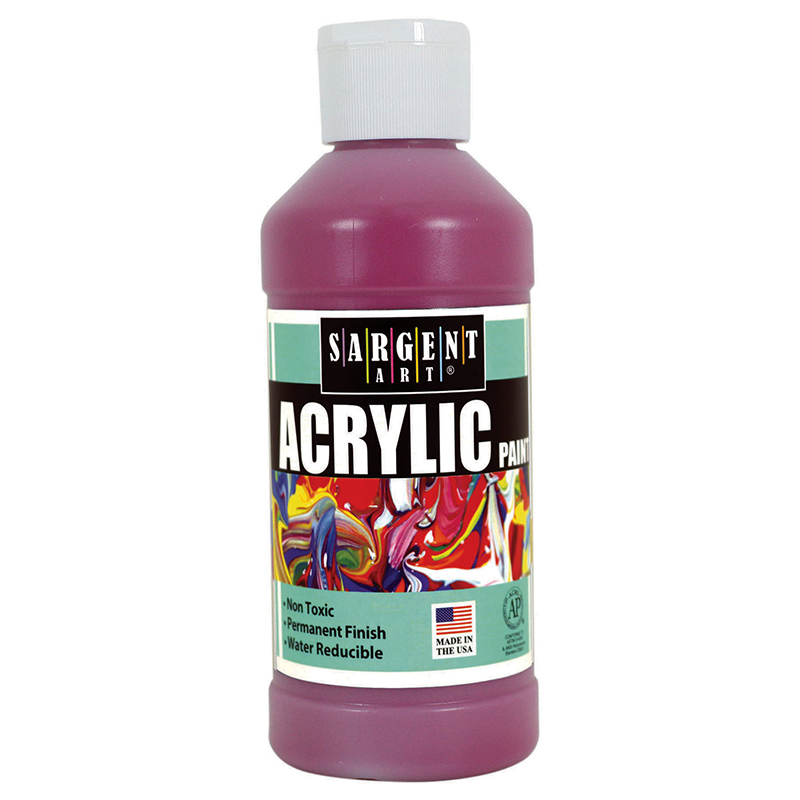 Sargent Art® Acrylic paints are vividly colored, water-resistant after drying, and can be used on almost any surface. Ideal for hobbies, crafts, and classrooms. Provides good coverage and a permanent finish. Cleans up easily with soap and water before drying. 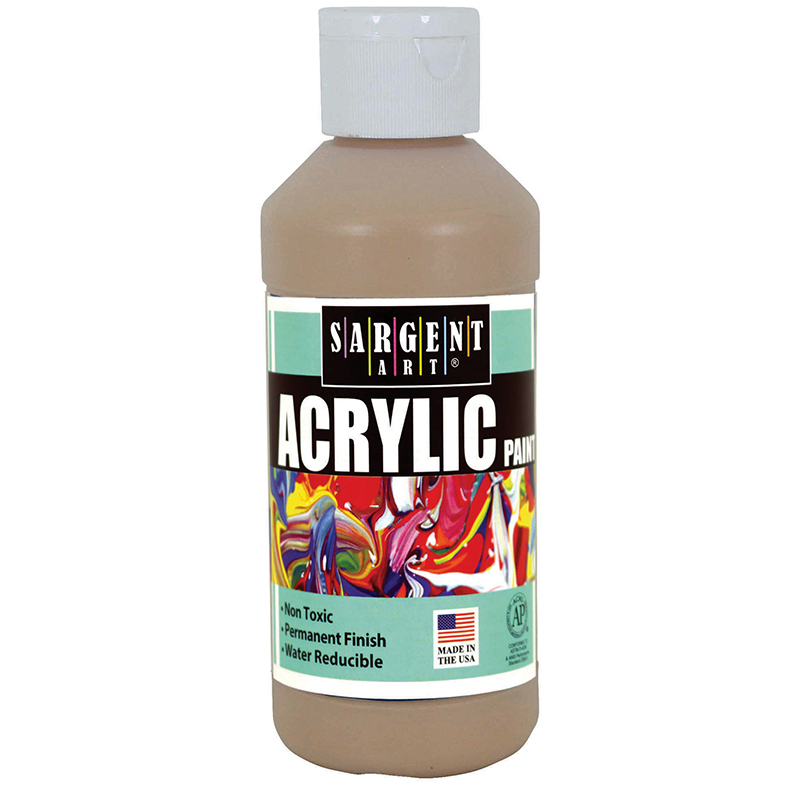 Goes well with Sargent Art canvas, canvas boards and canvas pads. Non-toxic and conform to ASTM D 4236. Includes 8 oz. of paint in an opaque bottle with flip-top cap. 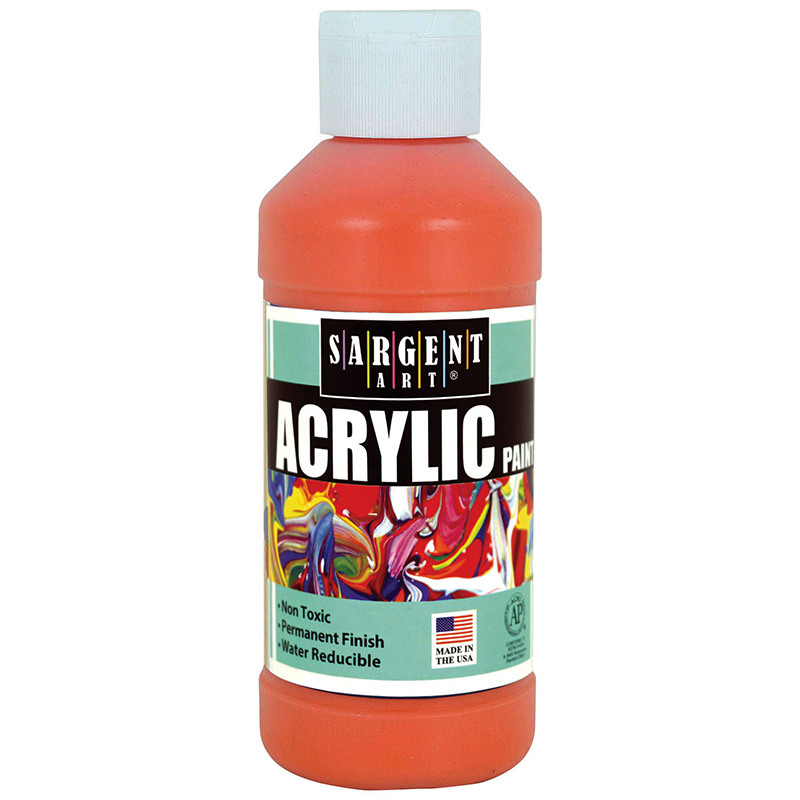 The Acrylic Paint 8 Oz Orange can be found in our Paint product category within the Arts & Crafts.